One of the most fruitful discoveries arising from the expectation fulfilment theory of dreaming has been the realisation that the REM state can be – and routinely is – activated outside the dream state. We all flip in and out of trance states many times a day and this is intimately connected with the REM state. A trance is a focused state of attention, a state of utter absorption. And the most absorbing type of trance state we ever enter is a dream. Most people do not realise that when their attention is completely held, for instance by a riveting speaker or by a problem that they are focused on solving, or by an activity that requires exact precision (such as archery), they are in a trance state. But the trance state most people are familiar with – and still mystified by – is that of hypnosis. For centuries, people have been intrigued, amused, astonished, helped and harmed by what can happen when hypnotic trance states are deliberately induced and people are manipulated while in them. Until quite recently, for example, stage hypnotists were seen as having exotic occult powers, as though they were magicians, and in every major city in the world, in one guise or another, they have entertained audiences by demonstrating their seemingly amazing abilities to make people behave in bizarre and extraordinary ways, do baffling things, make utter fools of themselves or see and hear things that are not there. On another level, throughout the ages, remarkable individuals, from witch doctors to modern surgeons, stone-age shamans to present-day psychiatrists, have, by chance and circumstances, found out how to use this powerful phenomenon for benign educational, psychological and medical purposes. Over the last 150 years it has been well attested by scientific method that hypnosis can be used to accelerate recovery from severe burns and that, whilst in a hypnotic state, people can have dental work, and even major surgery carried out without feeling any pain. Irritable bowel, shingles, asthma, phantom limb pain, male and female sexual dysfunctions and all sorts of psychological and psychosomatic disturbances can, when careful use of hypnosis is incorporated into treatment, be relieved in a fraction of the time that conventional therapies take. Hypnosis is, therefore, a demonstrably powerful therapeutic tool and thousands of scientific papers document an incredible range of medical results obtained when using it. For example, Dr Jack Gibson, an Irish surgeon, performed during his career more than 4,000 operations, using hypnosis as the only form of anaesthesia. He also used it to help alcoholics and asthmatics, and to charm away warts and verrucas. 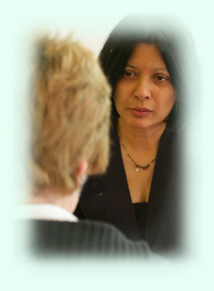 Hypnotic techniques are frequently used with patients, to eliminate lifelong phobias and post traumatic stress disorder (PTSD) symptoms in as little as 40 minutes. Hypnosis can also play an important part in speeding up treatment for clinical depression, anxiety and anger disorders, and the treatment of addictions. And yet, despite the scientific evidence as to its power, and despite the fact that all mainstream churches have withdrawn opposition to it and all major orthodox medical and psychological associations around the world have legitimised its use, this proven psychological procedure has yet to find widespread acceptance among the practitioners of the medical and psychological professions. This seems baffling at first sight, but the reason is simple – what we don’t understand, we are afraid of. Without a coherent organising idea, it is impossible to distinguish between what is pure gimmickry and what is a powerful adjunct to healing. Therefore, health professionals might understandably feel uncomfortable working with it. But now, through the insights derived from the expectation fulfilment theory of dreaming, we have a scientifically convincing explanation for what hypnosis really is. The explanation is found in the common denominator between dreaming and hypnotic phenomena — the REM state. This is the link that makes sense of it all. We can access the REM state whilst awake. All the many methods for inducing hypnosis are paralleled by aspects of how the REM state is normally induced and maintained. Shock inductions, when hypnosis is instantaneously induced through an unexpected occurrence, such as the hypnotist suddenly thumping a table or ringing a bell, fires the orientation response into action, just as happens at the start of REM sleep. And inducing deep relaxation creates the same electrical patterns in the brain as occurs in REM sleep. Guided imagery switches people into their right hemisphere and mimics daydreaming, a state associated with learning, in which new patterns of knowledge can be pattern matched metaphorically and integrated. The traditional swinging of the fob watch for people to follow with their eyes mimics the rapid eye movements that are triggered by the orientation response in REM sleep. Indeed anything that focuses and locks attention (e.g. “I want you to stare at that spot on the ceiling”) fires the orientation response. In fact, even an unexpected event or idea induces at least a mini-trance, just through firing the orientation response and momentarily focusing attention. All the strange phenomena associated with hypnosis make perfect sense once it is understood that they are the very phenomena that occur naturally in the REM state. Take wild ‘dervish’ dancing, for example: anthropologists have witnessed and filmed participants piercing their flesh with knives and nails without any apparent pain or bleeding. This practice, a staple topic of popular anthropology books, is not mysterious when we realise that the dervishes have induced deep trances in themselves by means of rhythmic repetitive activity, usually involving drumming, chanting or dancing. Engaging in any highly repetitive rhythmic activity can also trigger the REM state. Once in a REM state trance, incoming sensory information is easily switched off, just as it is when we dream. So dervishes can do all kinds of things to themselves without feeling pain or bleeding. In just the same way, tribal warriors use war dancing and chanting to whip themselves into a fighting frenzy before entering battle. This is on a continuum with women experiencing pain-free births after the induction of a guided trance by a hypnotherapist, and with the induction of hypnosis in surgical emergencies (when no anaesthetic is available) to enable injured patients to have badly damaged limbs amputated and wounds stitched up without feeling any pain. Surgeons and dentists have also noted the lack of bleeding in trance that dervishes demonstrate: operations carried out when patients are hypnotised cause far less bleeding than those when patients are chemically anaesthetised. Indeed, because the REM state is also the programming state of the brain, it is possible, through hypnosis, to instruct the brain to redirect blood flow, and so enhance the healing process after surgery. This phenomenon is also well documented and has been filmed in laboratory conditions – less dramatic, perhaps, than exotic dervish dancing, but no less impressive. One film showed a woman, who had agreed to have scratches made on her arm, bleeding from them in turn, in accordance with the instructions of the scientist who had hypnotised her. In another film a haemophiliac is seen having a lower premolar tooth surgically removed, with hypnosis as the only anaesthetic and with no transfusion or plasma concentrates being needed. There is also film of the late American psychiatrist and pioneer of modern hypnotherapy, Dr Milton H. Erickson, putting his colleague, Dr Kay Thompson, into trance – she then bleeds and stops bleeding (from a cannula inserted in her hand) on Erickson’s command. Equally mystifying to the general public is the ability of stage hypnotists to persuade people to see things that are not actually there. But the mystery disappears once we reflect that, in our dreams in the REM state at night, we all vividly see or sense things that are not there. Once the hypnotist has induced the REM state (trance), it is, therefore, strikingly easy to get people to see leprechauns, or absent friends, or mysterious objects, or to summon up intense emotions in a moment, because that is no different from what happens in dreams every night. Stage hypnotists, therefore, have no magic powers. They merely have the confidence and showmanship to do what is necessary to replicate aspects of the machinery of the REM state, so as to put people into trance and make them suggestible. Instead of memory and instinctive drives providing the dream script, the hypnotist does (although they probably don’t know why what they are doing works). If it is accepted that hypnosis is a direct means of accessing the REM state theatre which, as a reality generator, clothes our introspections in metaphorical sensory garb and acts them out as dreams, we have a new organising idea of immense power. For the first time, we have a theory that can separate the content of the dream from the state of mind in which a dream occurs. There are other similarities between dreaming and hypnosis. A hypnotised subject can be given a story and asked to dream a dream there and then about it, for instance. The subject will invariably report a metaphorical version of the story – just as occurs in dreaming. Also, hypnotised subjects often show an uncanny knack of translating another person’s dream back into its waking meaning. And, while we would not expect the brain pattern of a hypnotised subject to be exactly the same as the one that occurs in the REM state, since the hypnotised state is not induced by the lower brainstem, both states generate similar EEG brain patterns, and rapid eye movements similar to those that occur during REM sleep are often observed in subjects whilst they are in a hypnotic state. Yet another similarity between dreaming and hypnosis is the odd phenomenon known as ‘trance logic’. This has long been recognised as an important characteristic of the hypnotic state. It is typically defined as “an extreme tendency of subjects to rationalise any occurrence they experience, no matter how improbable or absurd it may be”. In one example a subject in trance, who was told to close the window in a room that was uncomfortably warm, did so whilst explaining that the room was cold and draughty. Some investigators regard trance logic as a sure sign that someone is hypnotised. (They say that its occurrence, or lack of it, can give an indication of whether someone is faking being hypnotised or not, because it is so unlike the way the normal conscious mind functions and impossible to fake.) But trance logic is not unique to hypnosis; it also occurs in dreams.